Our Spiritual Cards express heartfelt encouragement and Christian Faith for many of the experiences which fill our lives. 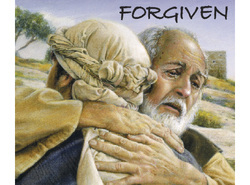 From forgiveness, to joy, to friendship and caring, a whole range of emotions are expressed in word and in the artistic work of various artists. Click on picture to see more. Humor can go a long way to heal relationships, calm fears or simply give encouragement to one in need. This pack of cards unites the Christian faith vision with humor. These cards can become instruments of hope and healing. God's love overflows into all that one experiences each day. The watchful soul looks for God's loving presence in all of creation. The Scenic Cards express and encourage a faith-filled response to life and the Giver of all life. 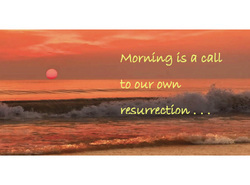 CR Cards offer a 4 - Pack of Special Intention Cards which you may order. These differ from our other options because you send us the name of the person you will receive the card. Each Special Intention Card shares that the Sisters of the Resurrection will be praying for this person. Each pack contains one Get Well, one New Life, one Praise and one Christmas Special Intention Card. Scroll Down to order the choice of cards you would like. We provide FREE SHIPPING!